The Evening Airshows replaced the 'At Home' series of airshows in 2017, were retained in 2018 and continue in 2019. Expect an intimate show with some flying as well as many chances to speak to the pilots and to see ground-based aircraft. The Military Pageant was dedicated to recognising the contribution of our Armed Forces – past and present. 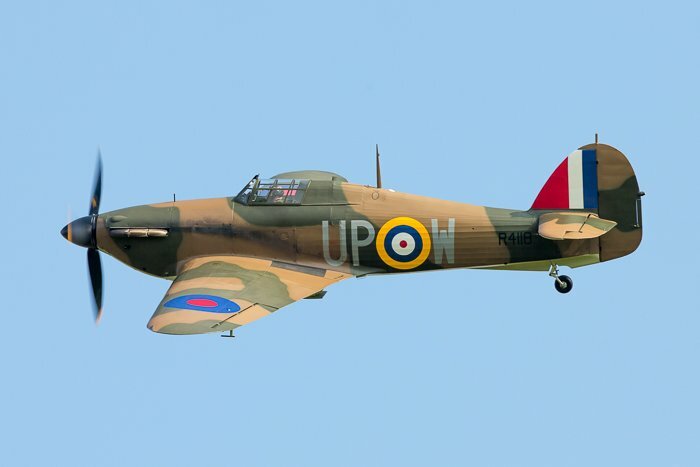 It was originally intended to be a Hawker fiesta, with six Hawker Hurricanes. 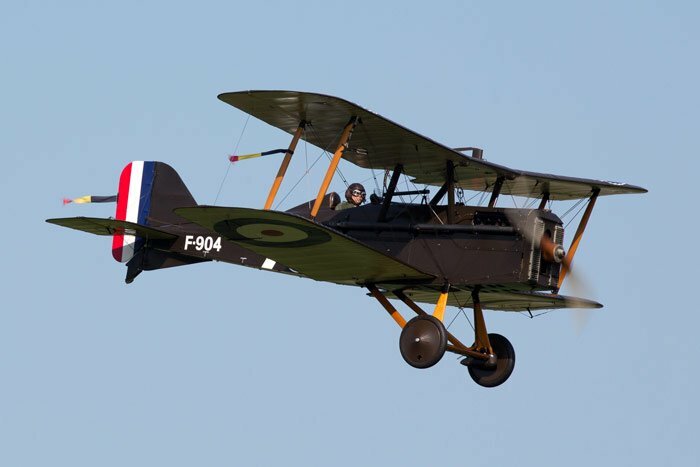 However, all things change and the theme became a more general celebration of military aircraft, with an emphasis on the historic collection looked after by, and displayed at, Old Warden. As well as an impressive gathering of military aircraft there were visiting military vehicles, including WWI steam engine ‘Gigantic’ in WW1 Ministry of War livery and a replica 8” Howitzer Gun.